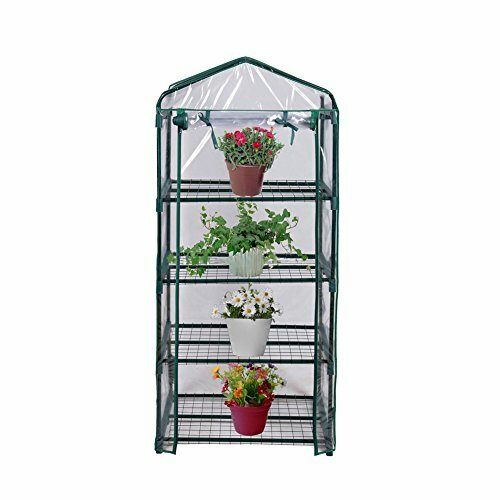 Maggift 4-Tier Mini Greenhouses, ideal for small backyards or homes where space as place on a deck, patio, or balcony. The main shelves use high quality tubular steel, heavy-duty bearing net on each layer can hold more plants. The greenhouse covered totally with a clear Polyethylene cloth with two long zippers, it can be roll-up as a small door.